When choosing from the Eclipse range, you are choosing a bold statement for any room or outdoor space. The furniture is striking and unique, created with a woven material which creates a great contrast against other wooden furniture, and can be seen as a more elegant alternative in certain settings. The woven material on Eclipse furniture is durable and long-lasting, as well as bring UV-resistant to protect it from visible wear and tear. 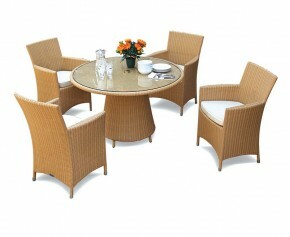 Delight your guests with this welcoming Eclipse rattan 2 seat dining set. Expertly manufactured in synthetic Rehau wicker, this rattan 2 seat dining set has the same look and feel as natural wicker but offers greater durability. 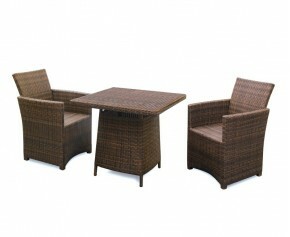 Delight your guests with this welcoming great value poly rattan 4 seater garden set. 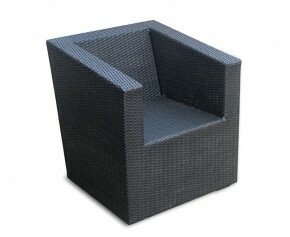 Expertly woven in 'soft to touch' synthetic Rehau wicker over a sturdy aluminium frame, this 4 seater garden set has the natural look and feel of wicker but offers greater durability.